This is the week I have waited for since this semester began: spring break. As a grad student, spring break means something different than it did when I was a crazy undergrad. As an undergrad, I went to Panama City Beach and literally partied for a week straight (I could not do that now, I give myself two days tops!) whereas now as a grad student I am using this break to relax, be a responsible drinker and play catchup on school work. When and why did this transition happen? A part of me wants to be on a beach playing drinking games, walking around with an open container and listening to frat-tastic boys tell my friends and I that we are hot. However the bigger part me is happy to be past that point and thankful for where I am now. Besides, I still get to play drinking games while watching show marathons (currently on Dr. Who and South Park) and hear my former frat hubs tell me I am beautiful. I say it’s a win. With all that said, I wouldn’t trade my past crazy spring breaks with my girlfriends for anything. Those memories are with us forever and we truly watched each others backs. For all those on spring break getting wild, be safe and do the buddy system. It works. For all those stuck in the real world this break, it’s okay because I have a fun, bright and yummy recipe to share. 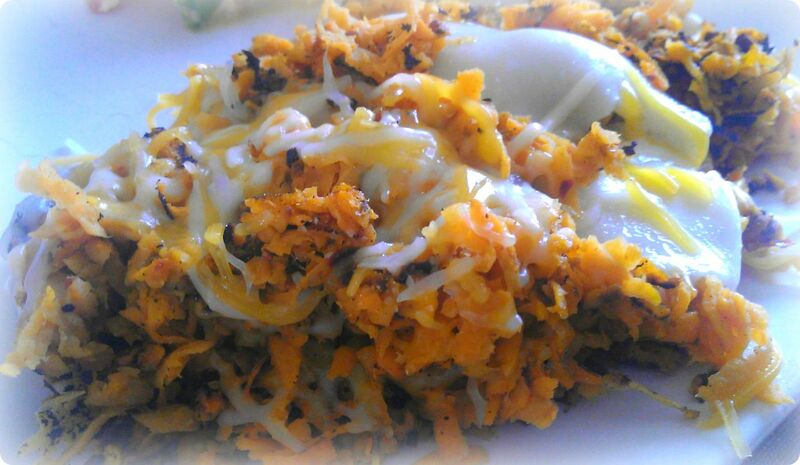 Sweet potato hash-browns. My rule this break is to take it easy in the kitchen; meaning I want to create some yummy meals but with minimal effort and ingredients. D-Money said he wanted hash-browns but we were out of regular potatoes. We both were too lazy to run to the store and realized we had a lone sweet potato. 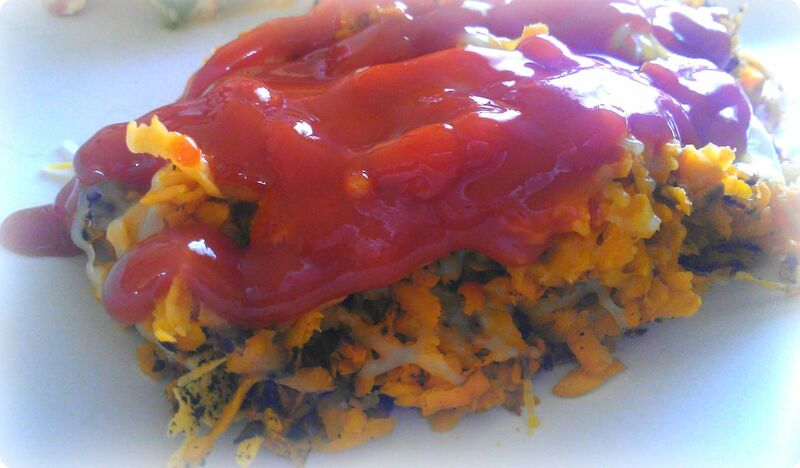 We figured trying sweet potato hash-browns could be really good and worth sharing on the blog or they could be not so good but still worth sharing. Verdict: they are good and worth sharing. I didn’t give measurements for the seasonings because I believe this is truly a personal preference. I recommend using a fair amount of crushed red pepper flakes because naturally, sweet potatoes are very sweet and spice helps a lot. I am pretty generous with the spice element because I love spice but use your own discretion. Heat a flat surfaced cast iron grill on medium heat. Peel the skin of the sweet potato and on a cutting board, use a cheese grater to grate the potato. Season the potato with salt, pepper and crushed red pepper flakes and add to the heated cast iron grill. Cook for five minutes and flip and cook for another five minutes and flip again. 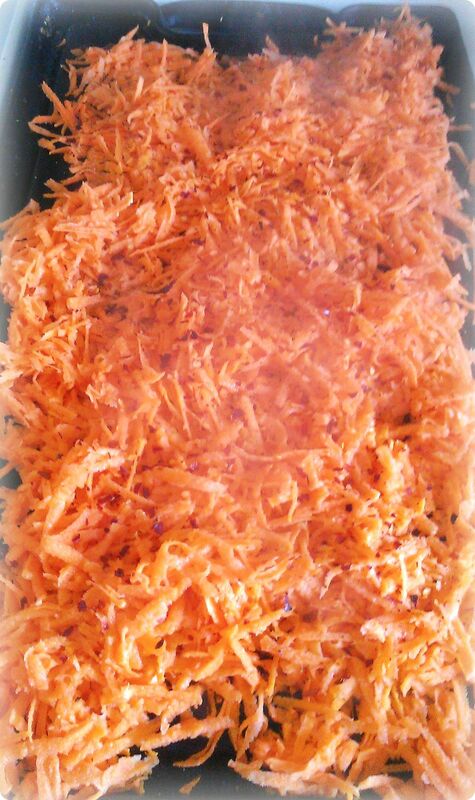 Continue cooking and flipping until they have a desired golden crust, about 15-20 minutes (do not have to cook for an extended time because remember, unlike regular potatoes, sweet potatoes can be eaten raw so it’s okay to cook them for less time than you would other hash-browns). Add some cheese (we used vegan friendly cheese) and serve while hot. Like most hash-browns, these taste amazing when smothered in ketchup and Tabasco sauce.